Omnifinder, Search from Popular Sites Right from One Place. Searching from Popular Sites Right from One Place in Google Chrome. What if, if you can search from Amazon or ebay or Netflix right from one search bar? Wouldn’t that be awesome? Right now I am going to introduce you a Google Chrome extension which will make that happen. Omnifinder is a extension which performs the task of searching (re-directing) from your favorite site(s) right from one search bar. It even has this suggestions or trends option. Other things which I like about Omnifinder is that it is minimalistic, changeable themes, new tab replacement (optional) , privacy (doesn’t record your searches), and much more. 1. Go to Chrome web store an search for Omnifinder, or simple click on the above download link and click on “FREE (ADD TO CHROME)“. 3. Now, a Omnifinder icon with message pop up appears at upper right corner of browser, indicating that the extension has successfully integrated with the Chrome. 1. By default, Omnifinder opens when you open a new tab. It even try to suggest the trending topics. Omnifinder: New Tab with Omnifinder Bar. 2. To search from specific site, type the term and click on the icon of the website which you would like to search from. 3. You can customize Omnifinder settings by clicking on the black gear icon which is bottom right side of the browser. 4. Drag and drop to create your own layout. 2. Now, un-tick the Omnifinder to temporarily disable the extension. Click on the dustbin icon and you will be greeted with pop-up, click “Remove” to remove the extension from Google Chrome. Omnifinder: Disable/Remove from Google Chrome. Change Your Default Browser In Windows 10 In 4 Simple Steps. Watch Age Restricted YouTube Videos Without Sign-In. Block Notorious Pop-Ups From Your Favorite Site With Poper Blocker For Chrome. Next story With Streamus, Turn Chrome into YouTube Music & Podcast Streaming Service. Previous story How To: Add Facebook Messenger into Firefox. 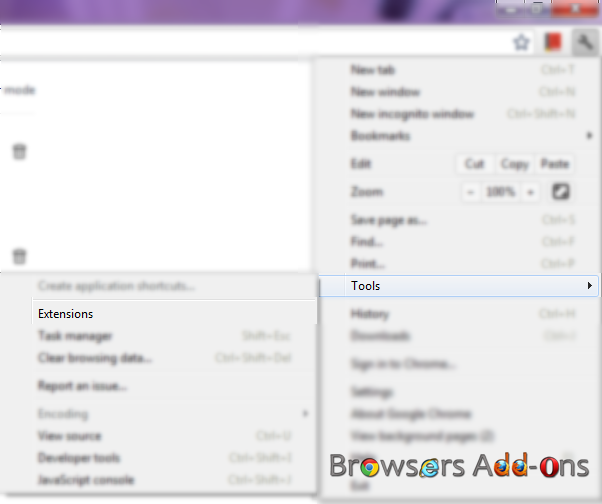 Get Mozilla Firefox Like Download Manger for Google Chrome with Downloadr. Stick with Appointments with Any.do Extension for Google Chrome.